This entry was written by Stanislav , posted on Thursday July 22 2010 , filed under Hardware, Lisp, LispMachine, Photo, SoftwareArchaeology, Symbolics . Bookmark the permalink . Post a comment below or leave a trackback: Trackback URL. Is the machine on the first picture an Alpha workstation? I looked into buying one a few years ago for OpenGenera, but the only one I found was an old 100MHz machine with Windows NT BIOS. Could you give the specs of this machine? 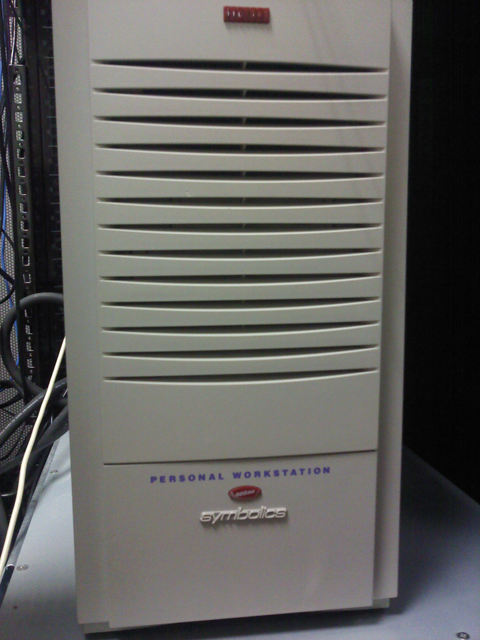 My place of business recently purchased a copy of Open Genera from David Schmidt of Symbolics Inc. (http://www.symbolics-dks.com/) and he included this machine as a no-cost extra. One can still buy more recent, substantially faster Alphas. They are quite expensive. Regarding your machine: I recall that you can switch the NT BIOS to one appropriate for Tru64 with a toggle inside the BIOS setup (Google for the manual), but running Open Genera at 100MHz is unlikely to satisfy. Is this a DEC workstation? 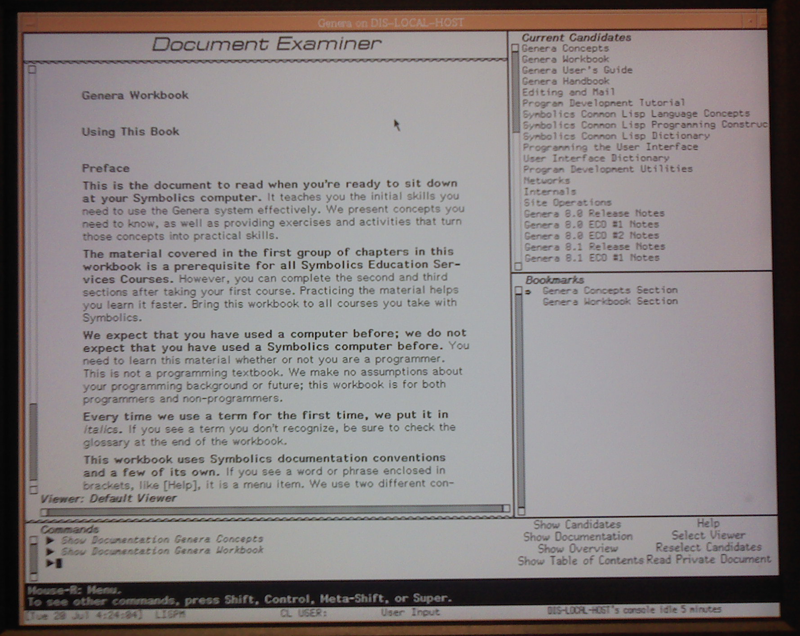 Could you write a little about the specs of the machine, and how well does Genera run on it? 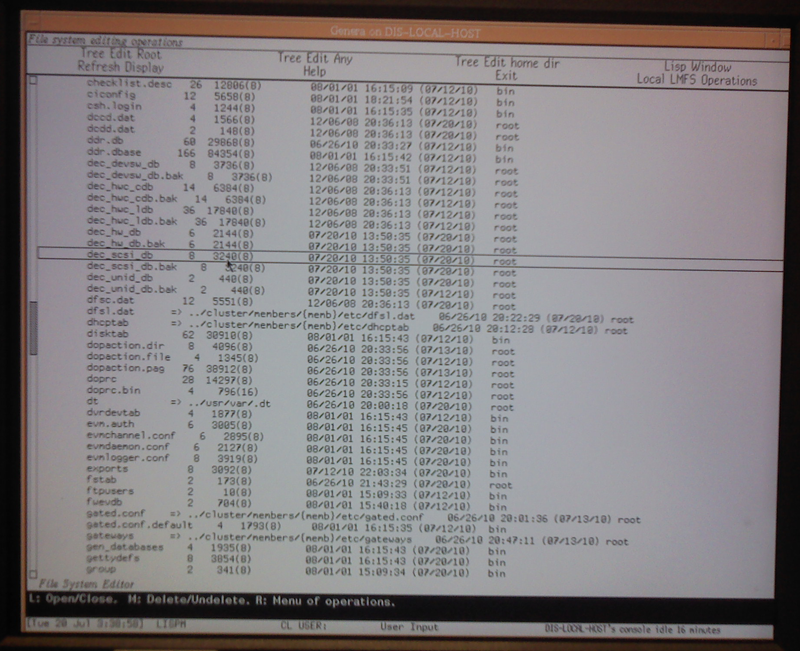 Open Genera runs passably well on this machine, although there is some room for improvement speed-wise. For the specs, please see my reply to the other comment. Thanks, and sorry for the double comment. There is a reasonably functional beta version of Genera around for PCs running LINUX. I use it and have had minimal problems with it. It is quite fast too. Since writing this post, I have switched to that version. David Schmidt now has a much better and stable version for linux if you are still into this. The most recent one I have is “snap5″, circa 2010. If you know of a warez link to a newer one, I invite you to post it here. My current interest is largely from a reverse-engineering ditch-the-closed-turds-and-preserve-the-ivory-arch-properly POV. 103 xor 81 = ?